Day 1: Warm, sunny, 60+ degrees. Day 2: Cold, snow, below 30 degrees. And look at those clouds in front of my house! Stormy weather predicted tonight! Lexington Brewing and Distilling Company in Lexington KY is the first distillery to be built in Lexington for over 100 years. 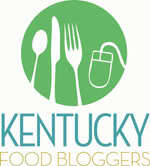 They make several awesome beverages including Town Branch Bourbon and the Kentucky Ale beers. 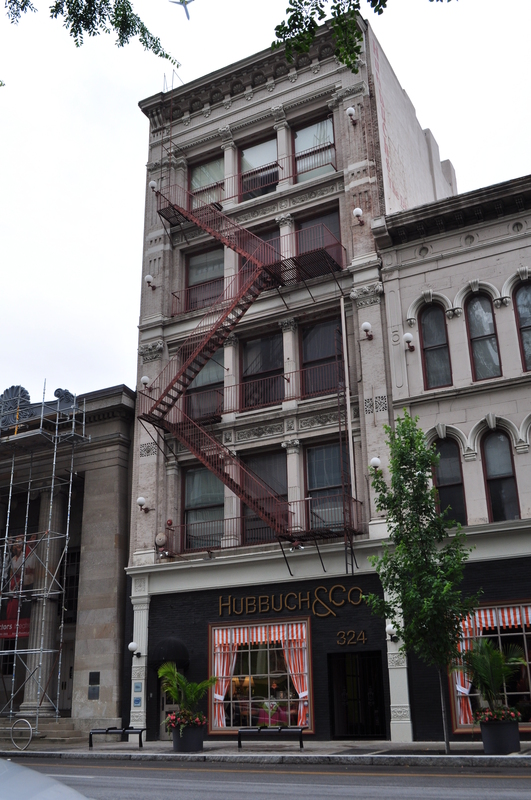 Their most popular beers in this area include Kentucky Bourbon Barrel Ale and Kentucky Bourbon Barrel Stout. Both are tasty if you like bourbon (the beer is stored in a used bourbon barrel for about 6 weeks). 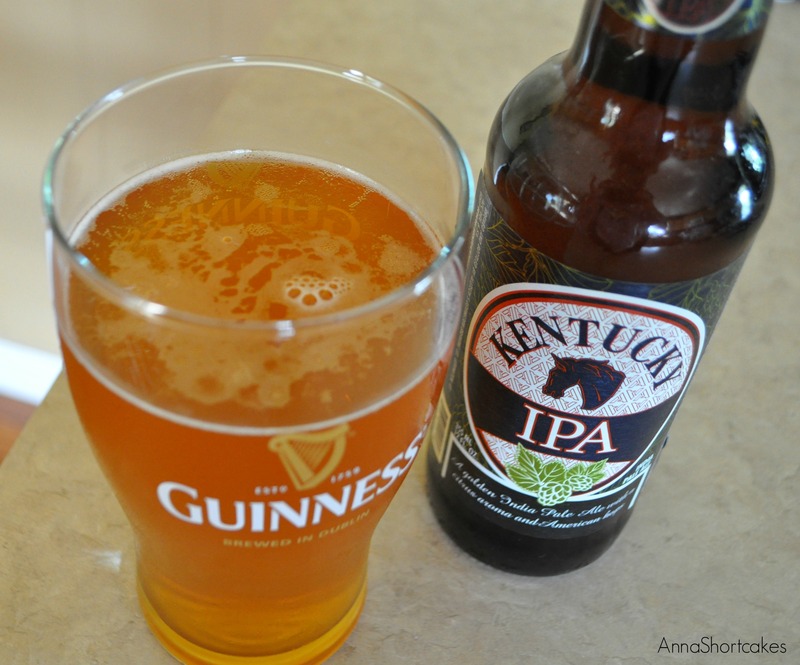 I will try to review them in the future but today I am going to write about the IPA because it is my new favorite beer. We first tried this IPA while on a tour of Town Branch (a future post will detail this). We sampled each beer – Kentucky Ale, Kölsch, IPA, Bourbon Barrel Ale, and Bourbon Barrel Stout. Of each, this was my favorite. 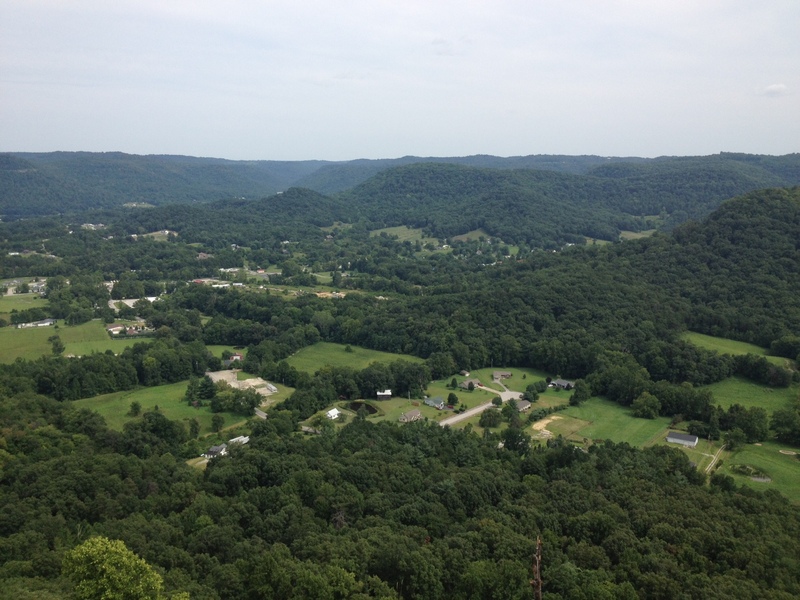 Today we went for a hike at the Berea Pinnacles, a great area owned by Berea College in Madison County, KY. You can see a map HERE. 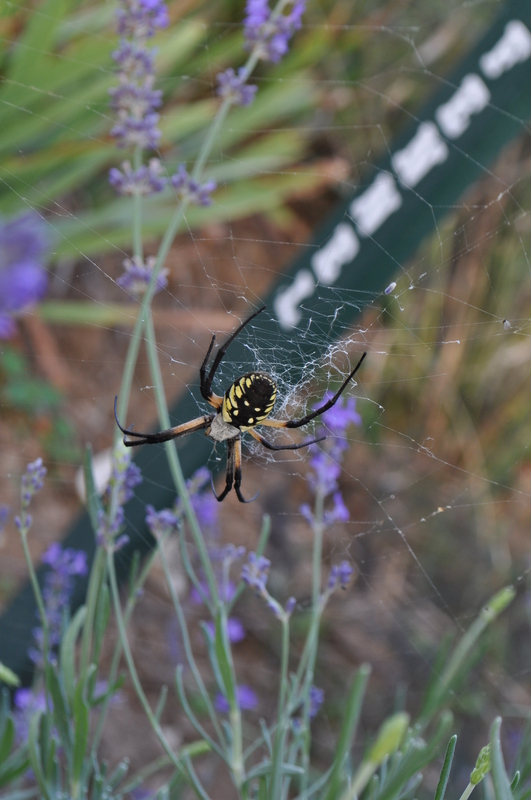 Below are some photos from our hike. The last photo is from the Madison County Facebook page. I included it because it is so gorgeous! If you ever have time to stop by and take a hike, you really should! 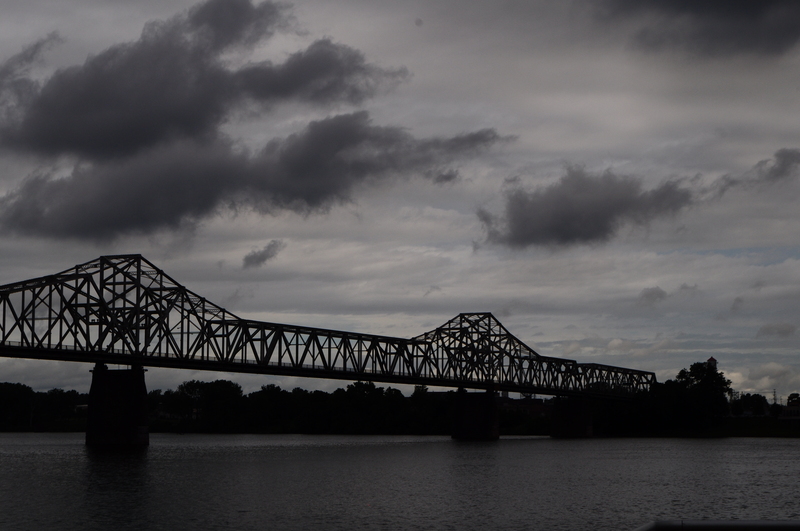 My husband and I went to Louisville this past weekend for a wedding. 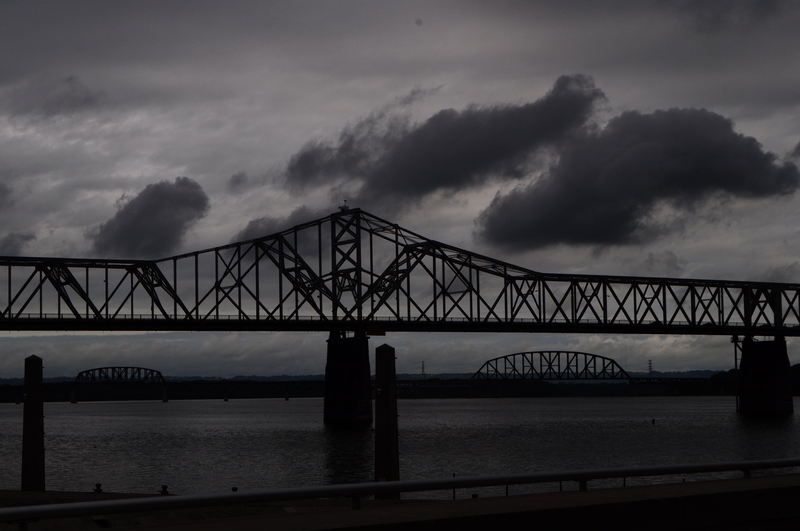 We spent a lot of our afternoon along the Ohio River and in the downtown area. Even though I am a country girl through and through, there is something special about the hard, geometric lines of city architecture. 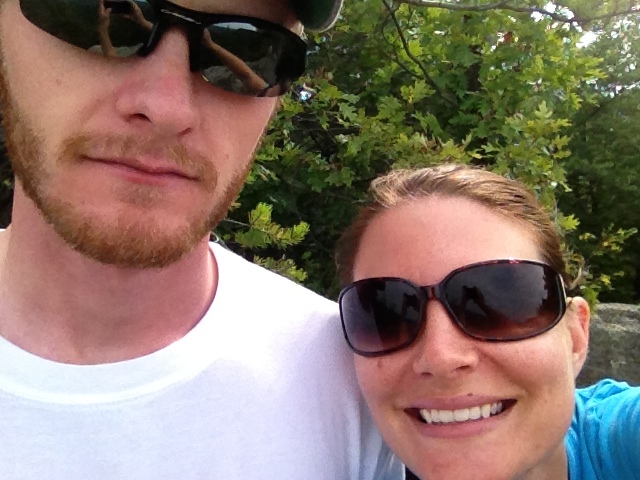 On Memorial Day weekend, we went to Natural Bridge State Park and Red River Gorge. Both are near my husband’s home. 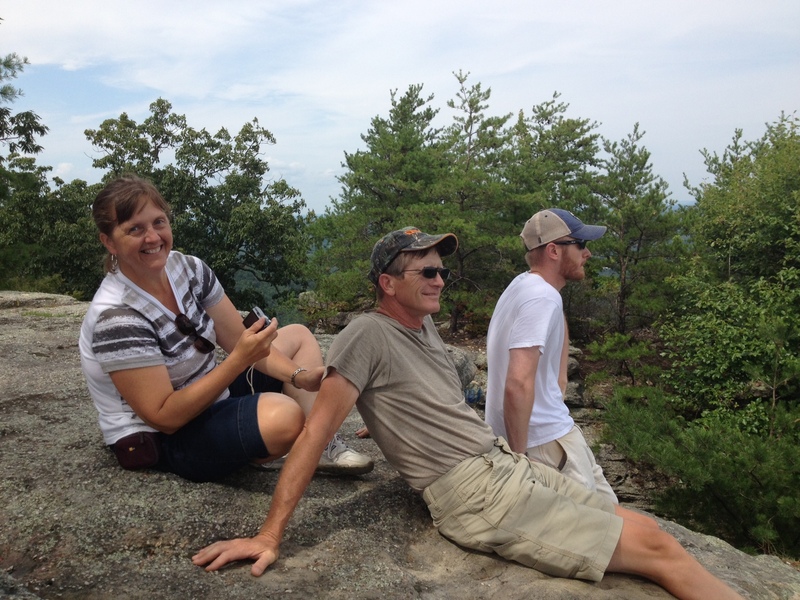 We met his parents and sister (and her family) there and enjoyed the day hiking and seeing the sites. 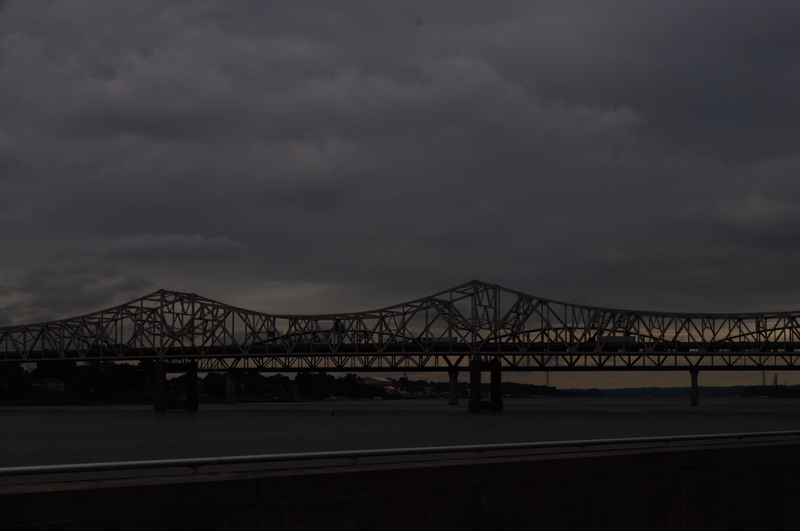 Below are pictures from that trip. Click on them if you want to see them bigger (you do!). If you ever get a chance to go, I encourage it! It is a beautiful place! 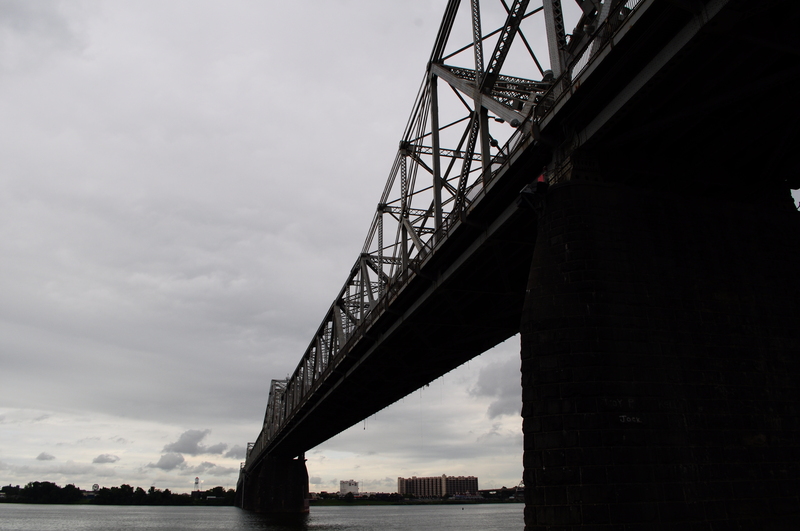 One side of the Bridge. Yesterday I asked for people to post the view from their backyard. Here is the first one. It is from my friend Vicki. 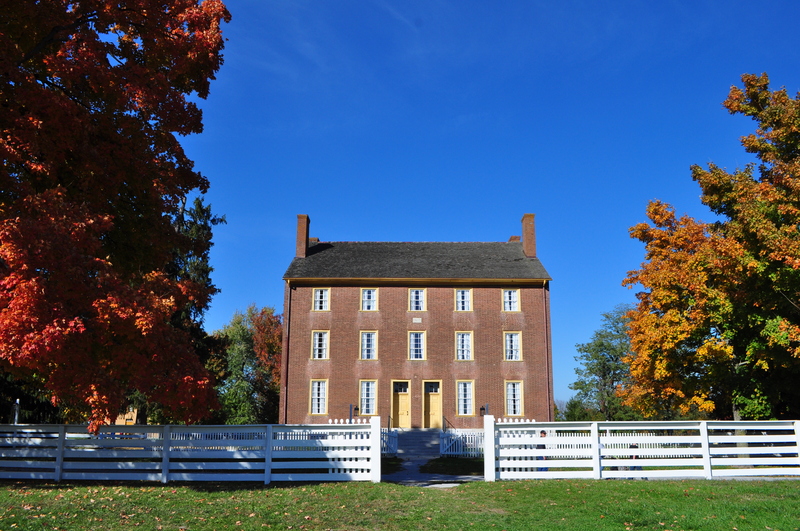 She lives near Harrodsburg, KY, another great place to visit. They are a special culinary delicacy, going for as much as $50 per pound fresh. 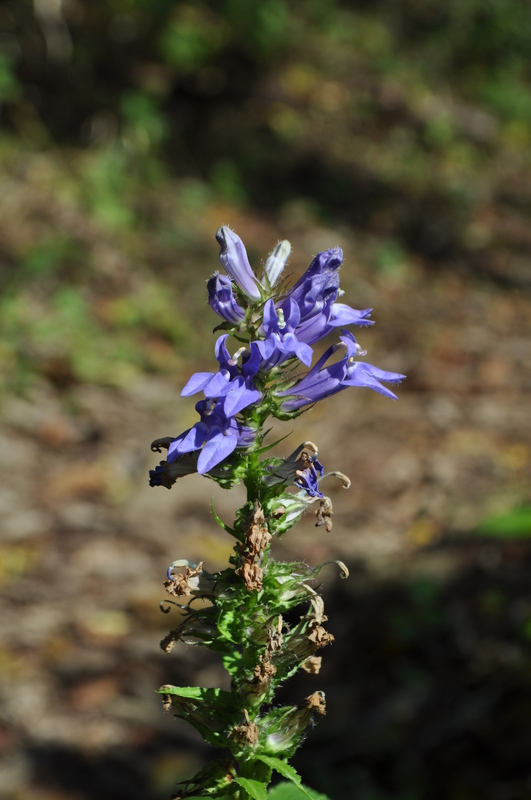 As a child, my family and I used to hunt for these special woodland gems. Each family has it’s own secret tricks. In an old apple orchard. In an elm stand, a cedar grove. My grandfather insists that you must place the mushrooms in an old paper sugar sack so they don’t sweat or break down. The City of Irvine hosts the annual Mountain Mushroom Festival each spring. I went with my good friends, David and Kathryn, and met up with some of their friends. We walked through the booths and looked for goodies. Gotta love the cheese dip on the chin! 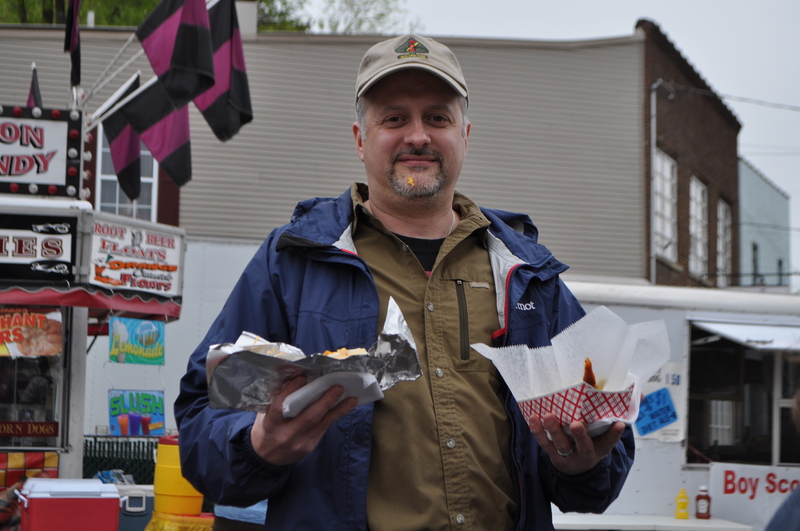 We discovered the typical fair concession food, including corn dogs, cheese steak sandwiches, and lemonade. 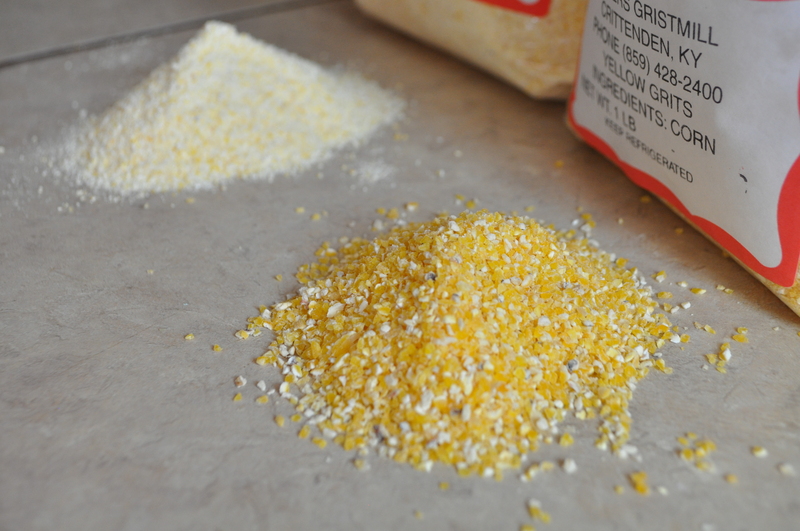 And some locally ground grits and cornmeal…. We saw some interestingly dressed people. And a llama. Emu eggs. Random junk sold as treasure. 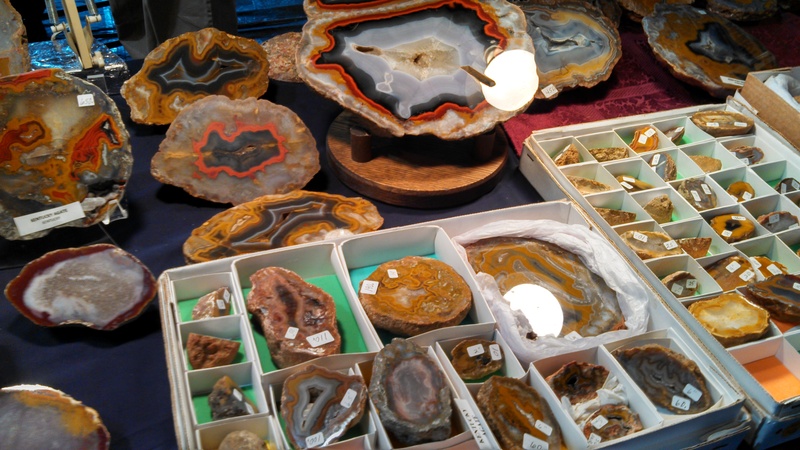 The Mushroom Festival also featured an Agate Hunt/Gem & Mineral Show. (For those who don’t know what agates are, check out this link.) Aren’t they just lovely? It was a wonderful little weekend trip. It was great to spend time with some awesome people celebrating an equally awesome fungi. 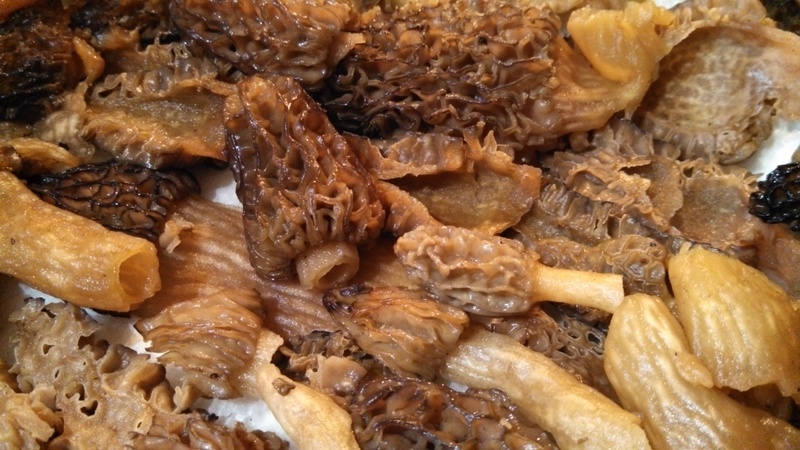 (Recipes using morels to follow later this week). 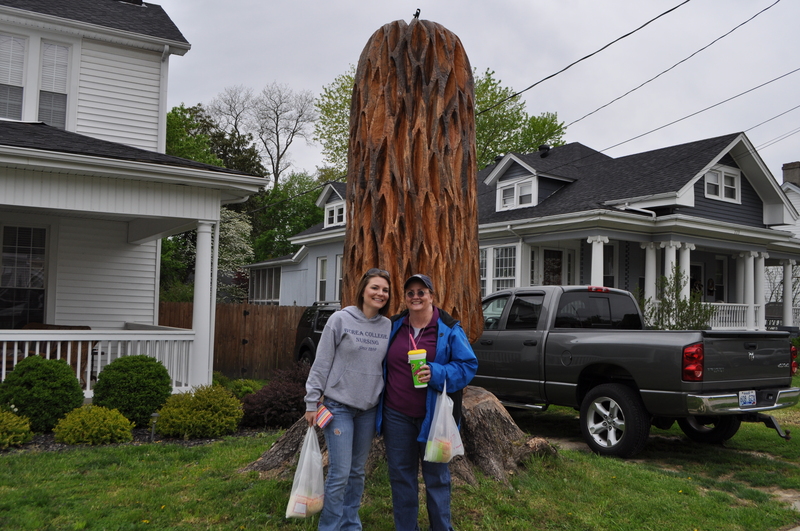 Kathryn and I in front of a giant wooden morel. *The first and fourth photos taken by Kathryn. The rest by me. When my brother came to visit a couple of weeks ago, we decided to do something outdoors to enjoy what was probably the last pretty weekend of the year. 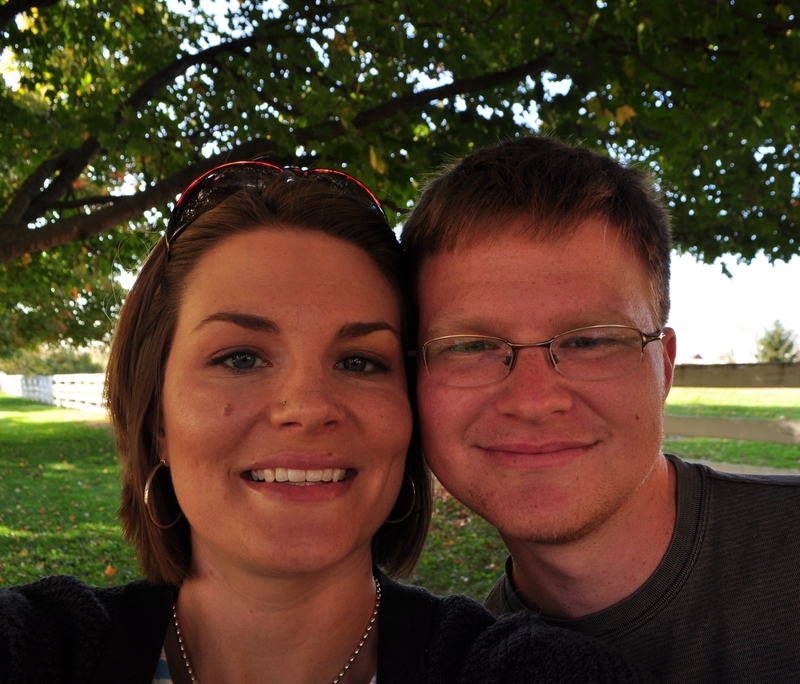 We went to the Shaker Village in Pleasant Hill, about an hour from my house. 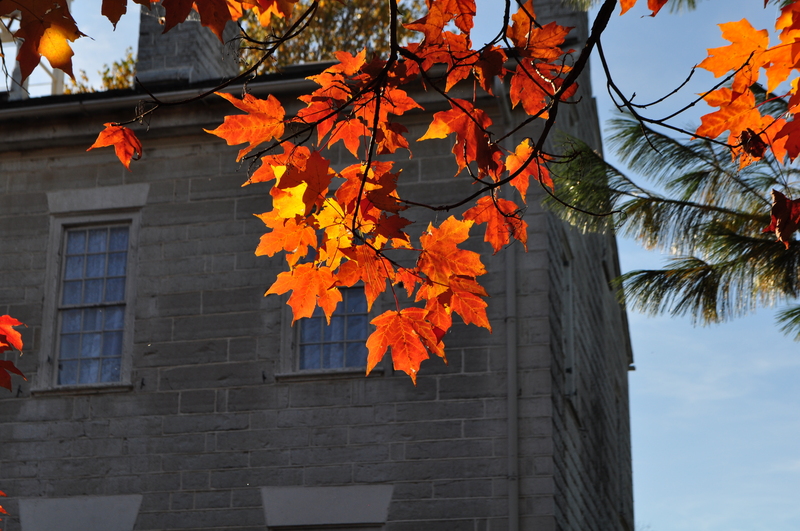 The village was home to the Shakers, a religious sect, from 1805 to 1910. The Shakers believed in hard work for the communal good, peace and equality, and celibacy. 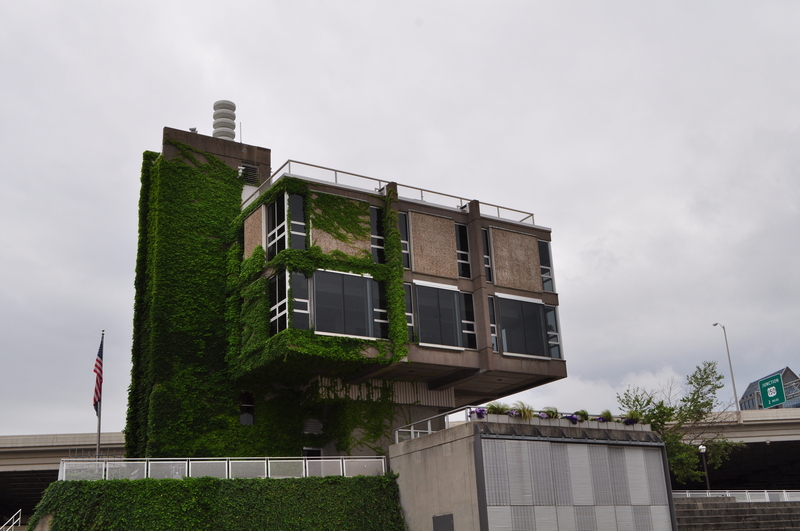 During our tour of the grounds, we saw their excellent craftsmanship in construction and efficiency. 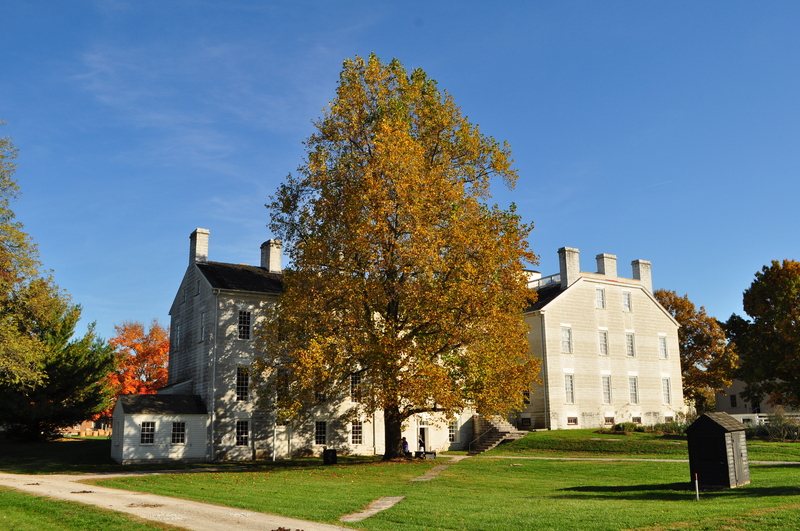 For more about the Shaker Village at Pleasant Hill, go here or here. 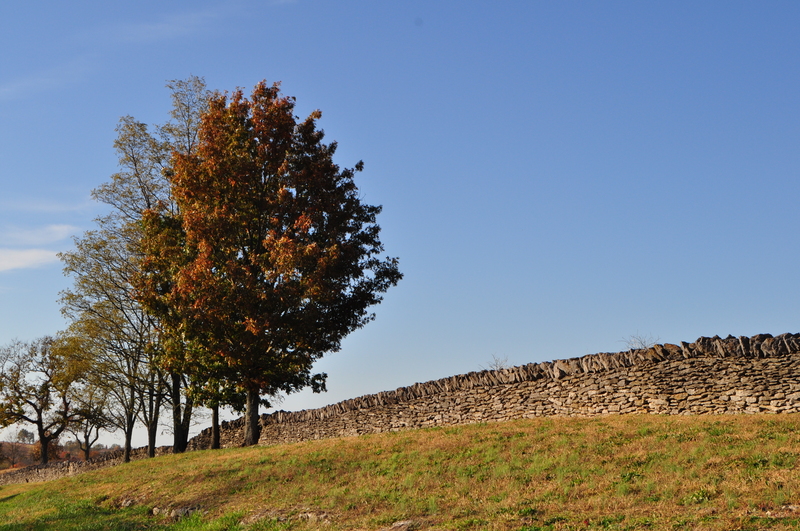 A glimpse at just a bit of the stone fences that cover acres of farmland. The kitchen to the main house. Notice the pegs. They were everywhere. Over 3,000 of them in the village. 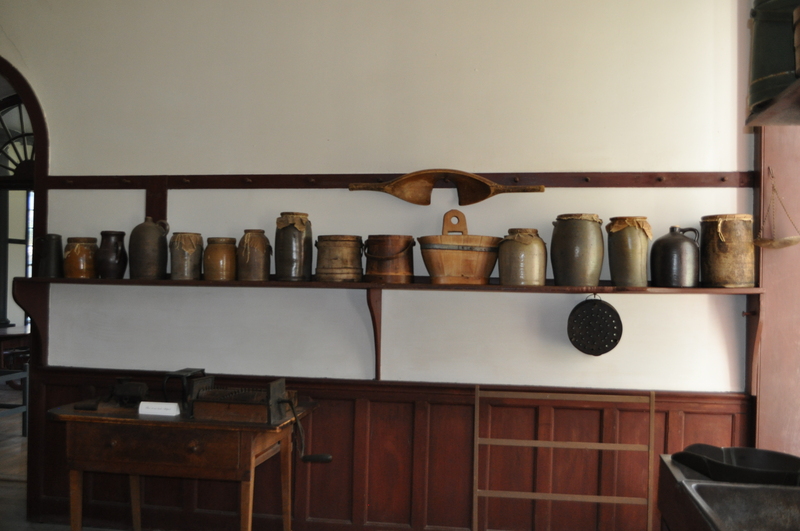 The Shakers believed in hanging things up so they could clean, clean, clean. 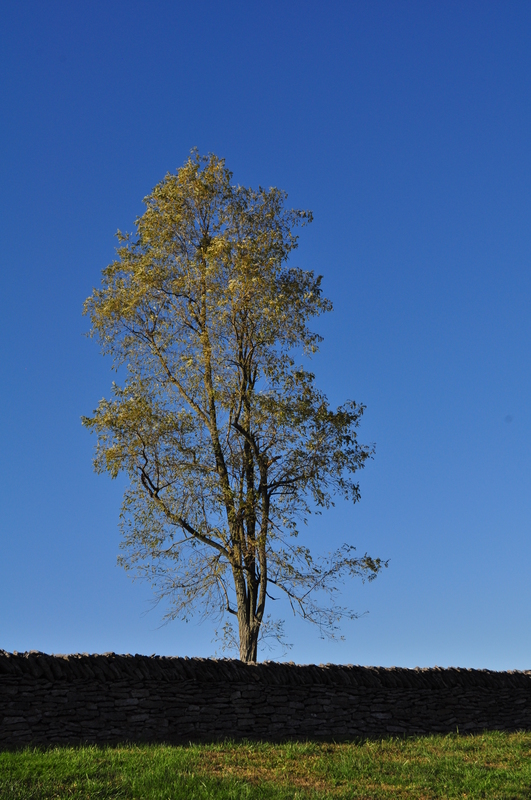 A lone tree in the field. Can you imagine living here? Gorgeous! I hope you enjoyed our little tour. 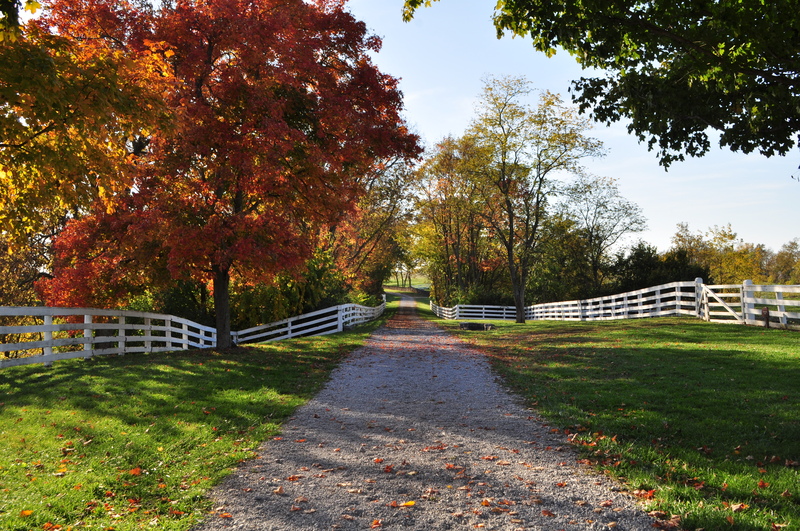 If you get a change, check out the Shaker Village for yourself! I am a huge believer in local, free entertainment. National, state, and local parks are great sources of fun and exercise. 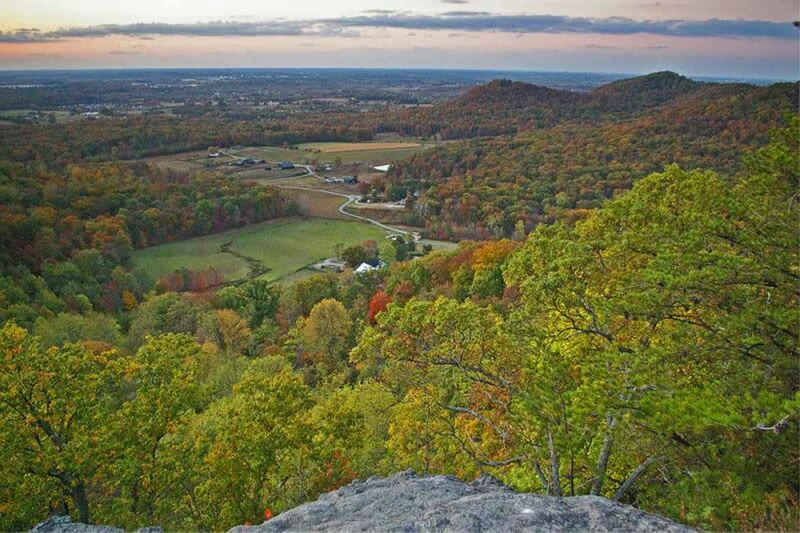 About 30 miles from our house is a wonderful city park called Raven Run Nature Sanctuary; the 735 acres are dedicated to the enjoyment of nature. 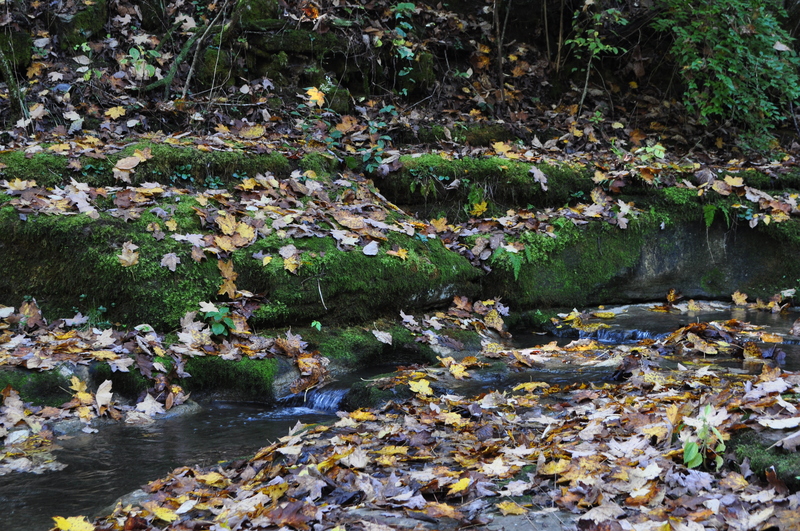 The pictures below were taken during a 5.5 mile hike I recently took there. 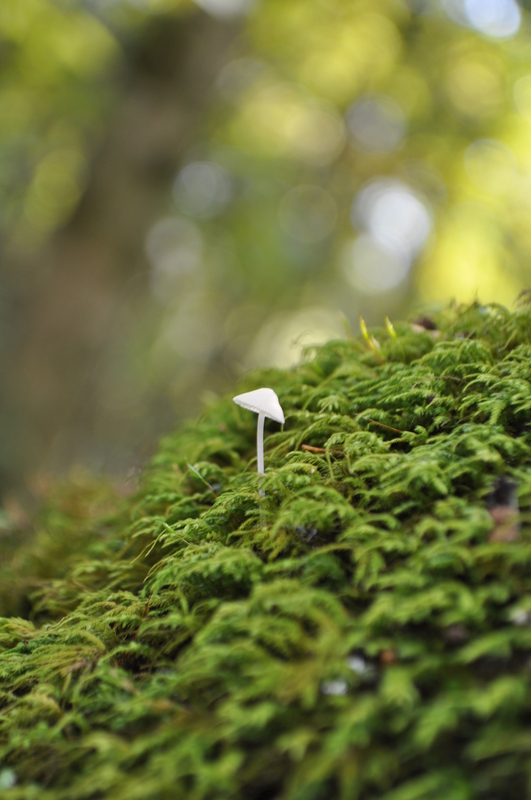 Tiny mushroom on a mossy stump. 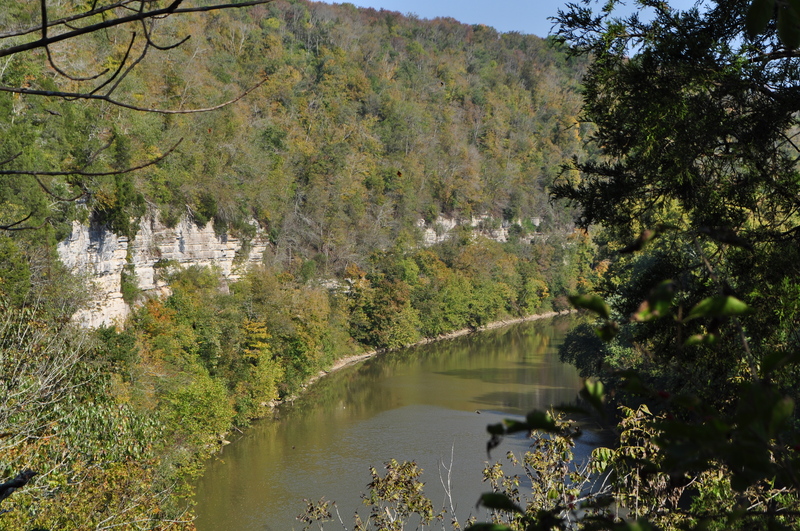 A view of the Kentucky River. 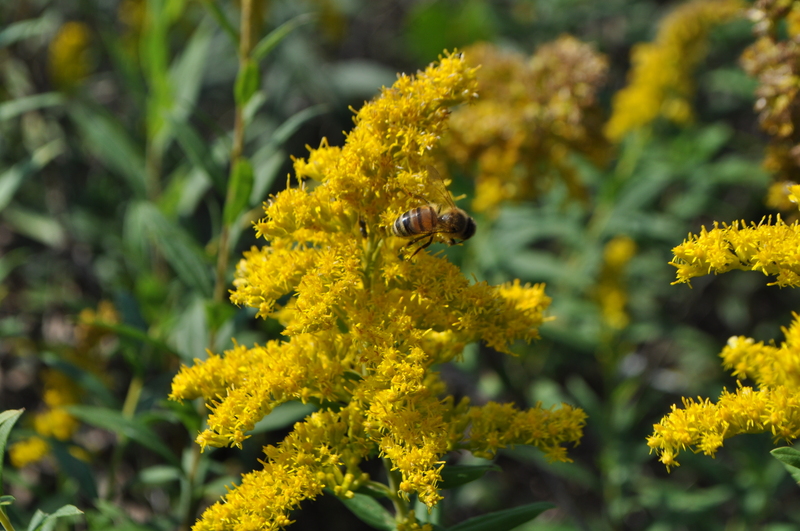 A honeybee on a goldenrod. 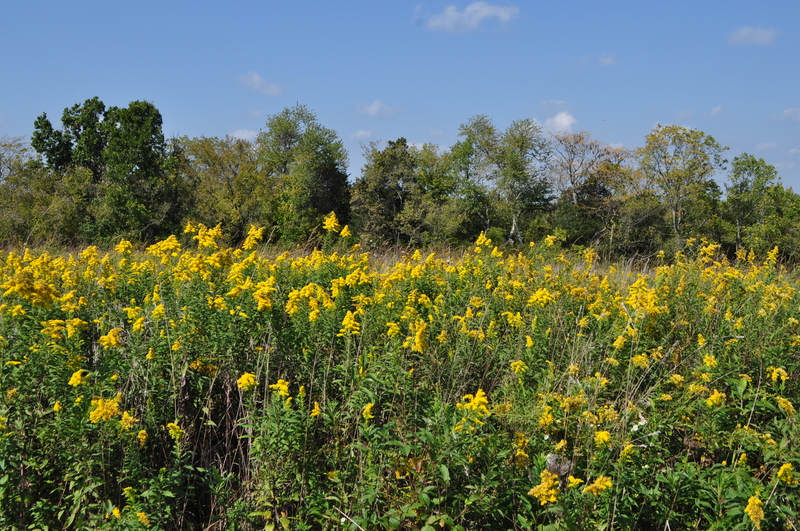 A gorgeous field with native Kentucky fall flowers. 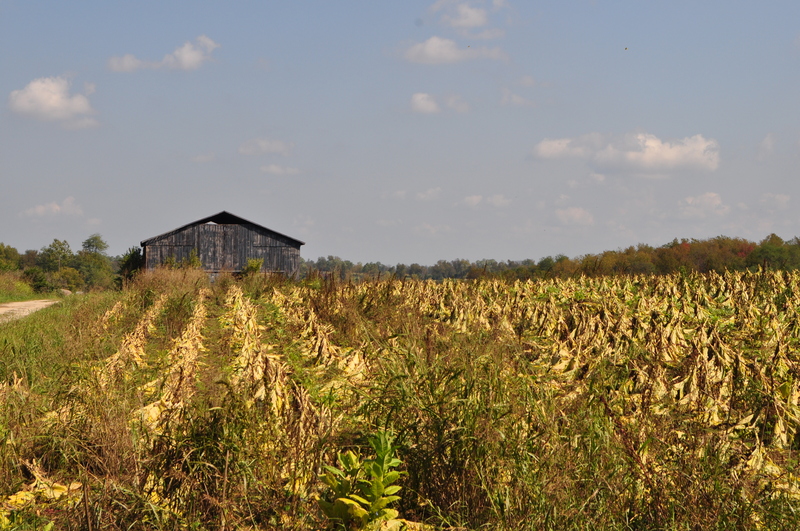 Tobacco, cut and ready to house in the barn. I hope you enjoyed our little walk as much as I did! 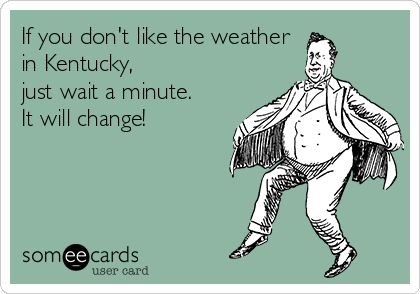 A Bloody Derby may sound a bit odd but I think it is about perfect for Kentucky. This is not the traditional Mint Julep that most will have today. Honestly, I don’t like them. Since it seems you can only get them on Derby Day, I don’t think many other people do either. I really enjoyed this drink. Maybe you can serve it for your next brunch or while you are watching the ponies race this afternoon. Mix ice, tomato juice, bourbon, horseradish, garlic, salt, pepper, Tabasco, juice of one lemon wedge and juice of one lime wedge in a chilled glass. 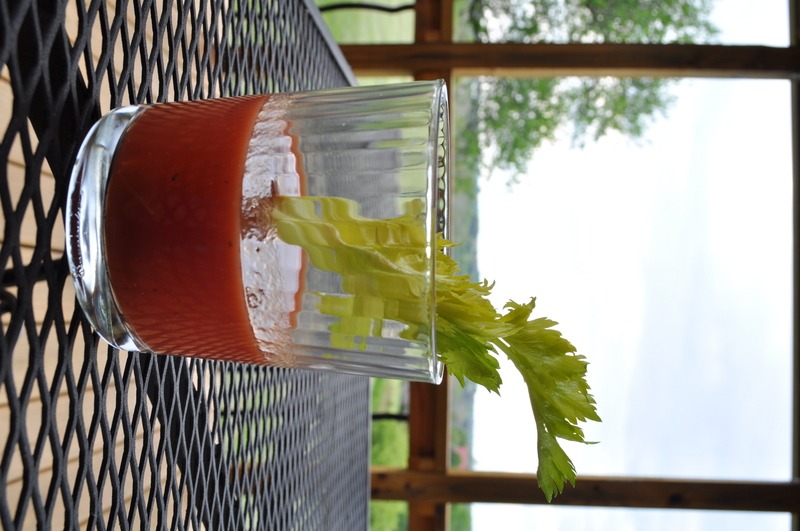 Garnish with remaining citrus, celery and carrot sticks. The Kentucky Oaks is a Thoroughbred race held the Friday before the Derby. Also held at Churchill Downs, this race seems like pre-gaming to me, though a $600,000 purse seems a bit bigger that a pre-game. The Oaks Lilly is the official drink of the race. It is really good! I will certainly keep making this one in the future. It is summery, not too sweet, and tasty. You should try it! 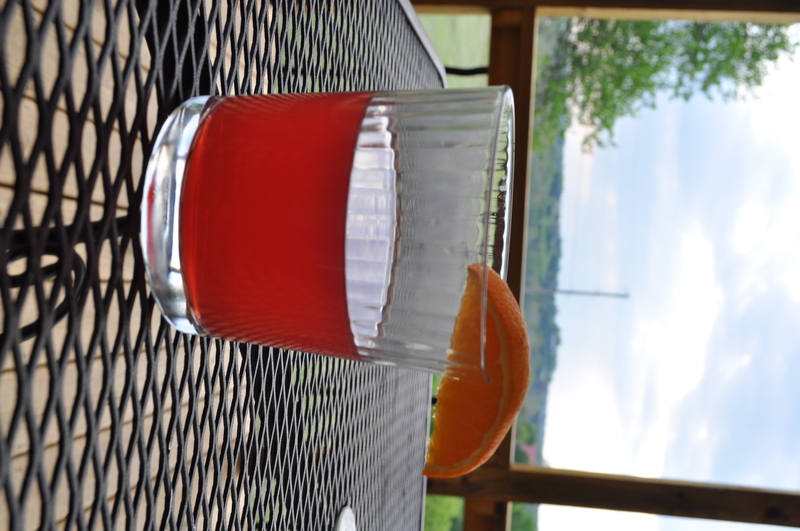 Once the ingredients are mixed, place the Oaks Lily a glass with crushed ice, add a straw and garnish with an orange wedge and cherry.